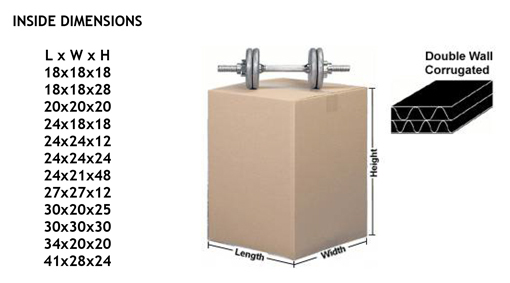 Corrugated shipping cartons available in regular, multi-depth, heavy-duty or double wall options. Our stock boxes are strong 200# / 32ect (unless otherwise noted). Double the protection of a 200 lb. test box. Protects your valuable fragile items. Recommended for shipping 50lbs or more.